This lightweight, rinse-out conditioner treats all hair types with our exclusive advanced, thirst-quenching hydration ingredient, REJUVENIQE S™, making hair more manageable and soft to the touch with improved bounce, body and shine. 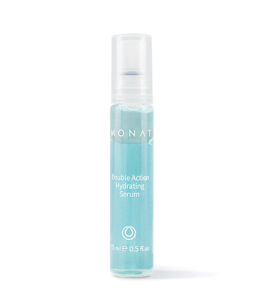 To learn more about Advanced Hydrating Conditioner, please contact your MONAT Market Partner. Supplying an immediate surge of color-safe hydration from root to tip, this ultra-hydrating lightweight powerhouse delivers lustrous, healthy-looking hair – full of bounce, body and shine. Its gentle, detangling formula is ideal for all hair types to increase hair’s manageability, smoothness and shine. Supercharged with Rejuveniqe S™, Patch20 and moisture-attracting hyaluronic acid-based technology to quench moisture-starved strands while ceramides help keep the moisture locked in for improved resilience, strength and shine. A plant-derived silicone alternative safely improves slip and manageability without product build-up or environmental harm. Provides intense hydration without weighing hair down. Protects the hair cuticle and exterior strand against dryness and moisture loss. Hyaluronic acid-based technology immediately revives parched hair strands. Provides long-lasting hydration, leaving hair feeling soft, looking healthy. Restores bounce, body and shine – adding new vitality to the hair. No-build-up, plant-derived silicone alternative improves slip and manageability. Great for daily use, or as frequently as you normally shampoo. Squeeze out excess water from hair. Apply Advanced Hydrating Conditioner and work it into the hair. 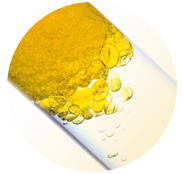 Aqua/Water/Eau, Cetearyl Alcohol, Astrocaryum Murumuru Seed Butter, Brassicamidopropyl Dimethylamine, Polyquaternium-7, Behentrimonium Chloride, Orbignya Speciosa Kernel Oil, Cetyl Alcohol, Limnanthes Alba (Meadowfoam) Seed Oil, Crambe Abyssinica Seed Oil, Camellia Oleifera Seed Oil, Solanum Lycopersicum (Tomato) Seed Oil, Daucus Carota Sativa (Carrot) Seed Oil, Citrus Limon (Lemon) Peel Oil, Citrus Aurantifolia (Lime) Oil, Citrus Aurantium Bergamia (Bergamot) Fruit Oil, Adansonia Digitata Oil, Mauritia Flexuosa Fruit Oil, Cocos Nucifera (Coconut) Oil, Gardenia Taitensis Flower Extract, Moringa Oleifera Seed Oil, Caryocar Brasiliense Fruit Oil, Helianthus Annuus (Sunflower) Seed Oil, Olea Europaea (Olive) Fruit Oil, Simmondsia Chinensis (Jojoba) Seed Extract, Sodium Hyaluronate, Panthenol, Tocopherol, Trifolium Pratense (Clover) Flower Extract, Acetyl Tetrapeptide-3, Pisum Sativum (Pea) Extract, Wheat Amino Acids, Soy Amino Acids, Serine, Threonine, Arginine HCl, Glycerin, Pullulan, Trehalose, Urea, Cetyl Hydroxyethylcellulose, Cetearyl.